Bundle includes Darice Christmas Ornament Hooks 2in. 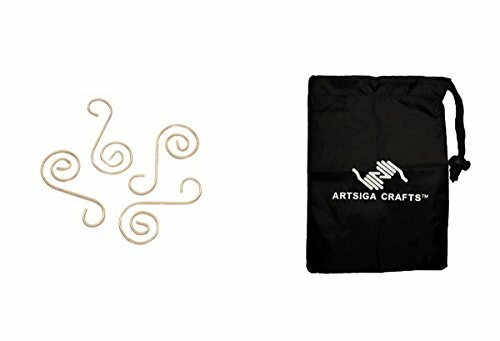 Gold Wire 18Pc (6 Pack) 2480 01 and 1 Artsiga Crafts Small Bag. Price includes 6 pack(s) per order, with 18 piece(s) per pack. Artsiga Crafts bag measures approximanetly 6 x 8in., made of heavy nylon material and includes a drawstring closure; this bag is deal to store small craft items or cell phones and accessories.